Schools with ELL and ESOL student populations are finding tremendous success with Ascend Math. Ascend Math was created with these students in mind. Making strong use of visuals and a conceptual as well as algorithmic approach to problems help ELL students understand each lesson quicker. 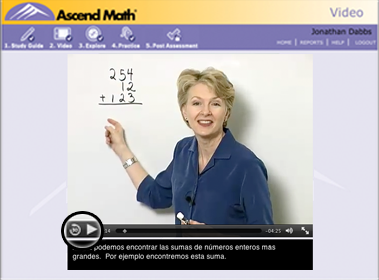 For schools with Hispanic populations, Ascend Math includes both Spanish and English video-based lessons and directions, audio with practice problems, and student study guides. 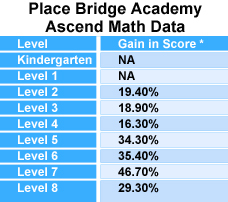 Educators say Ascend Math actually assists Hispanic students in learning English as they progress in math. Our middle school and high school are 87% Hispanic. Our LEP students went from a 53% passing rate on the TAKS to 75% passing using Ascend Math. A 22% gain. Study Guides, assessments, and review worksheets are all available in English or Spanish. The combination of audio and closed captioning for all 700 objectives helps English Language learners. Closed captioning available in both English and Spanish. Students can pause, rewind and watch as many times as needed. 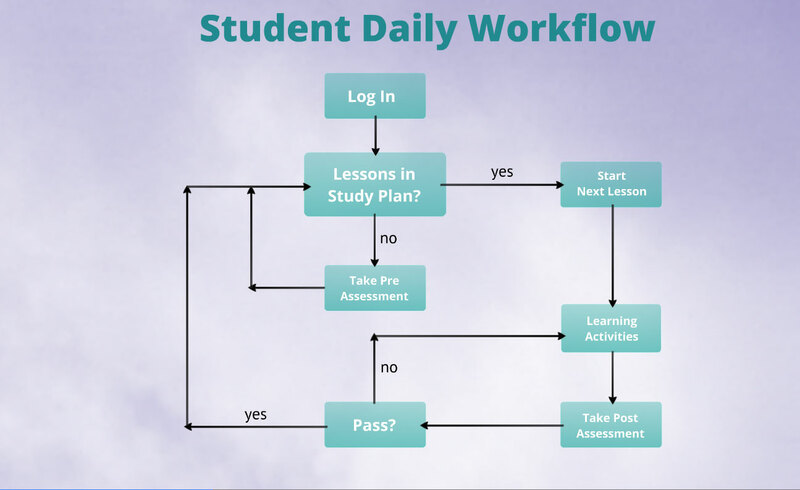 Students experience the same sequence of instruction and practice followed by post-assessment in each lesson. This familiarity helps ELL students understand what to expect. 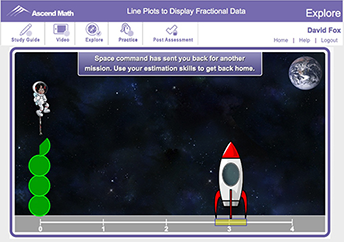 Ascend makes strong use of visuals including hands-on virtual manipulatives that help ELL students better grasp new concepts. Ascend Math is web-based and fully functional on all tablets including iPads. View a Study Guide in Spanish. 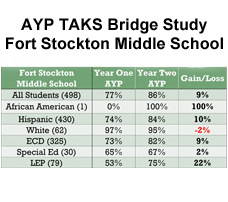 Fort Stockton Middle School, 87% Hispanic and 67% economically disadvantaged, went from not making AYP to the highest student performance in math in their region. 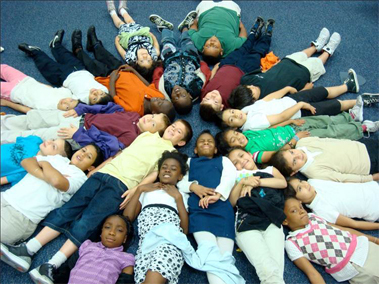 Place Bridge Academy serves an 80% ELL population speaking more than 40 different languages. Students using Ascend averaged between 1.3 and 1.7 GE gains in eight months.